Below is a great meatless, frugal recipe that I would like to share. It is an easy, tasty, and good-for-you recipe that utilizes those fresh veggies that are so readily available right now. In addition to serving it in tortillas, I have also served it as a dip by pairing it with tortilla chips or pita chips. Also, leftovers make a great taco salad topping. Yum!!! 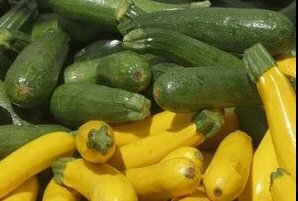 In a large skillet over medium heat, cook and stir the zucchini, yellow squash, carrots and onion in oil for 3-5 minutes or until tender. Stir in the beans, corn, salsa, taco seasoning and cumin. Cook and stir for 5-7 minutes or until vegetables are tender. Remove from the heat. Stir in cheese. Spoon about 2/3 cupful filling down center on each tortilla. Fold sides and ends over filling and roll up. Yield: 8 servings. Serve with shredded lettuce, chopped tomatoes and sour cream.